WHEN I THINK OF VALENTINES DAY, I THINK OF BEAUTIFUL FLOWERS CANDLE-LIT DINNERS & CHOCOLATE. BUT WHAT I LOVE MORE THAN JUST PLAIN OLD CHOCOLATE IS CHOCOLATE COVERED STRAWBERRIES. yummy! SWEET, JUICY STRAWBERRIES DIPPED IN creamy, rich CHOCOLATE. what's better than that, you ask? A chocolate covered strawberry latte. mm mmmm! 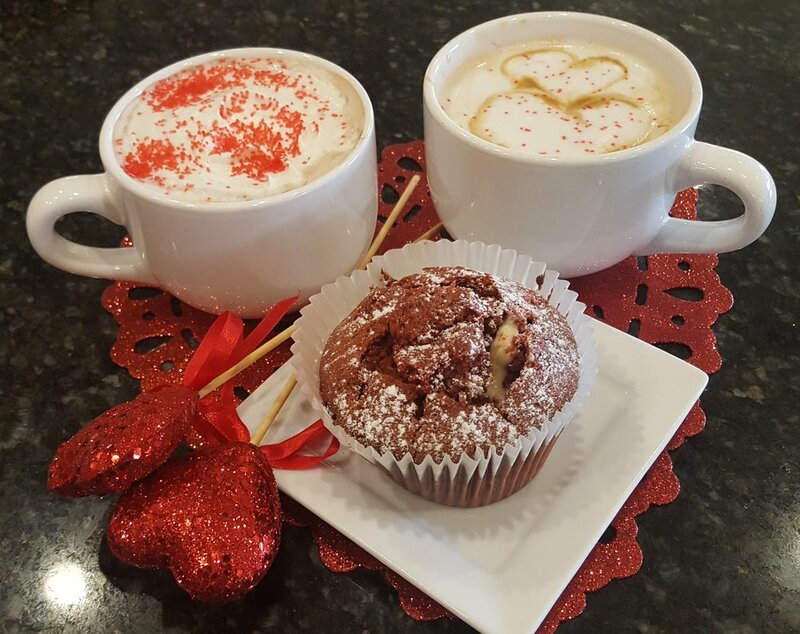 Treat yourself and your sweetie to all the wonderful flavors of this decadent dessert, hand-crafted by your baristas at ppc! P.S. Don't forget to indulge yourself in one of our red velvet muffins filled with cream cheese frosting! only available for a limit time! Spring is Here! Well... Kind of.